Do dice that don’t get rolled enough turn against their weilders or is it just chance at play? Most roleplayers you ask would say YES, if you don’t love your dice they turn against you. Part of me wonders if this is just superstition. Is this phenomenon just our way of explaining a bad roll. I’ve definately seen it in action where dice prefer the way one person rolls them on the table over how another person rolls them. This is probably the result of an imperceptable reaction from our brain to our hands. It doesn’t explain the dice that just won’t roll well for anyone though. If dice are designed poorly, it can affect the way it rolls. The weight and balance of the physical item can definately be at the root of the problem but sometimes… there seems to be something else involved. If you’ve ever watched role players at a dice booth during a convention, it’s a laborious process. Each dice is picked up, handled, weighed in the palm of the hand, rolled and tested again and again. Some people have dice that they only roll alone or dice that roll better with other dice. 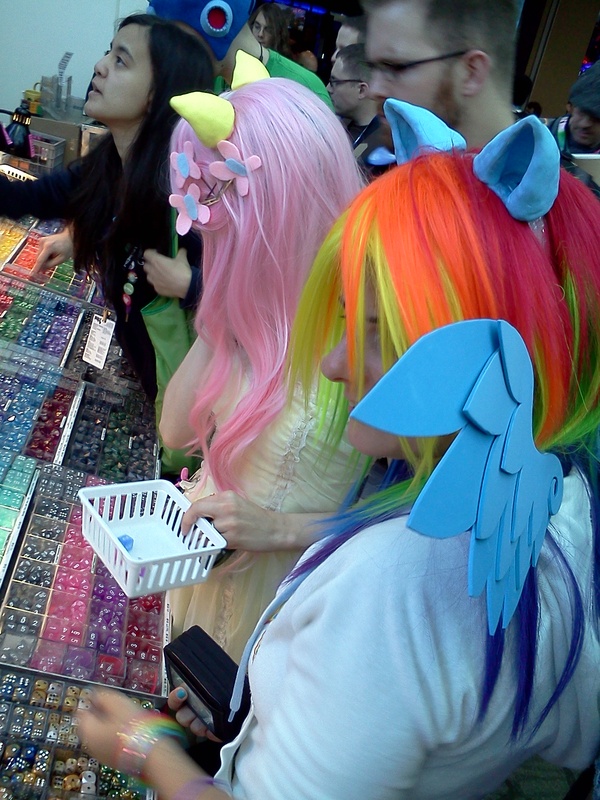 You will see people pick up dice, put them back, pick them up again and then put them back. When asked why, they aren’t sure. Something about the dice just didn’t feel right for them. My dice are kept in two special boxes. 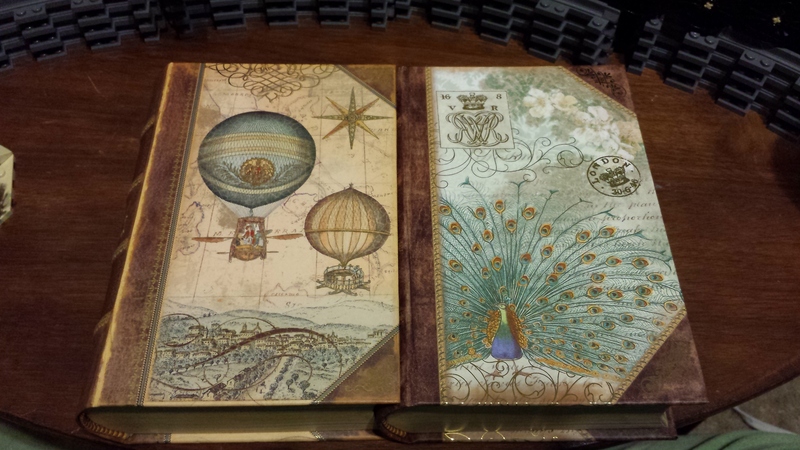 They are pretty boxes that look like books and have a magnetic latch. I hunted for the proper vessel to keep them in. One box has all my 10 siders and the other box has my other dice. 3, 6, 8, 12, and 20 siders all share that second box. I feel obligated to treat them nice and keep them away from my husbands dice. 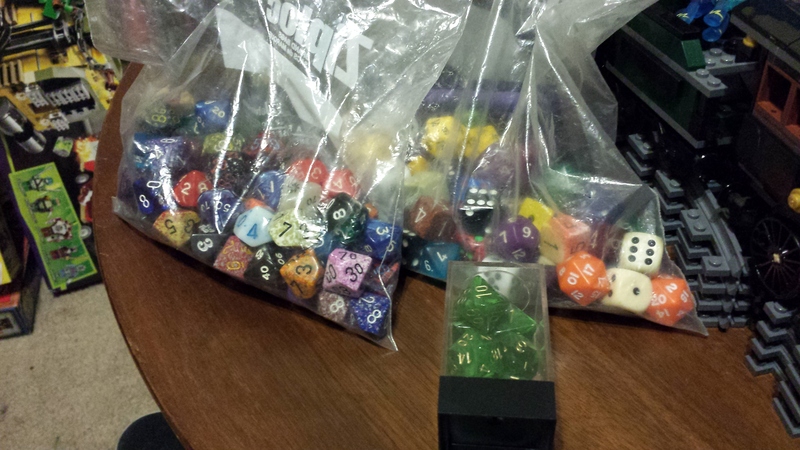 He uses two big bags of dice that are know to role unpredictably. He uses these for story telling to make the game more fair. 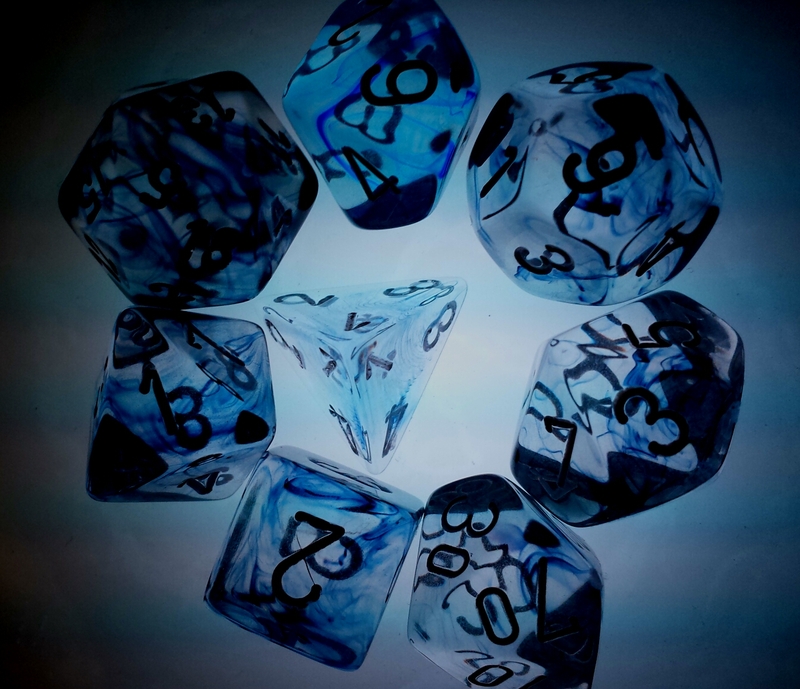 That being he said, he knows that he has the ability to roll dice well, so he uses this batch of unruly dice to help the players survive his campaigns. Every time we play together the whole party starts testing dice just before game. Rolling over and over to see if the dice in question is going to roll well tonight. It also warms up the dice and gets them ready. One roll never tells you anything. You have to roll it over and over. If you get an 18, 19, 20 a few times the players will tell you to stop quickly because otherwise you’ll use all the high rolls! OH NO! Maybe it’s crazy but this works out some how. Yes, rolling dice will always be a statistical nightmare but the numbers just don’t work out if you track and pay attention to your dice. Some dice simply roll better, more often. I wonder if this is because we’re putting positive energy into the dice we like? It could be metaphysical. I don’t think anyone will ever really know. I’ll leave you with this. Be nice to your dice. Praise them. Talk softly to them. Seduce them with your words and your rolling. Treat them like you’re dating your best friends sister and be on your best behavior. Let the know you appreciate thier work. Wow that sounded a little crazy. Well… whatever. Do you have dice stories? Here are photos of my dice.